Absi co offers custom-made custom-engraved table tents (rectangular tent signs). Available in three different materials: acrylic, brass and stainless steel. Any size can be ordered, any artwork can be engraved. Acrylic table tents can have a colored backing and color-filled engraving. 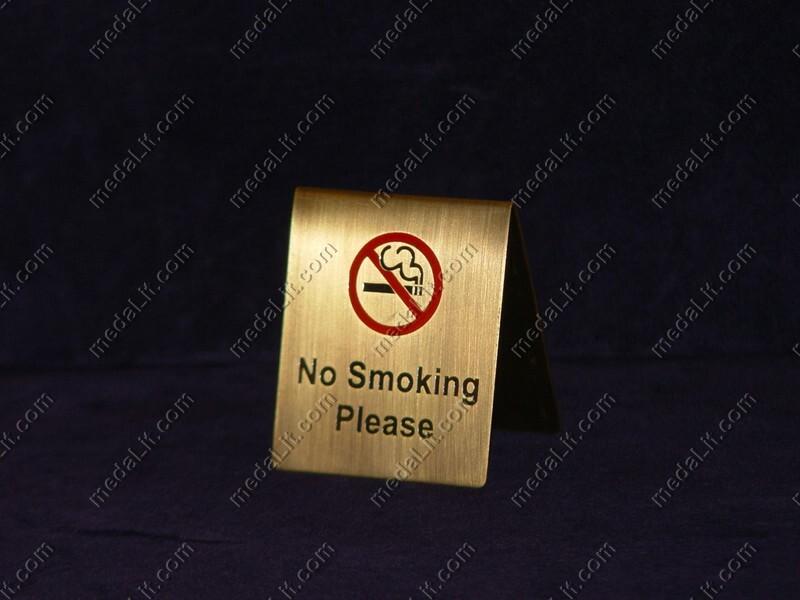 Brass table tents can be ordered to be finished according to your liking: patinated, silver-plated, gold-plated, matt, highlighted etc. Absi business gifts serve as excellent items for promoting your institution or company in events such as expositions and seminars; they are very affordable in price. Your text and logos can easily be incorporated into the designs you choose.